Happy Wednesday everyone! Today's mani is one I m so freaking excited to show you. 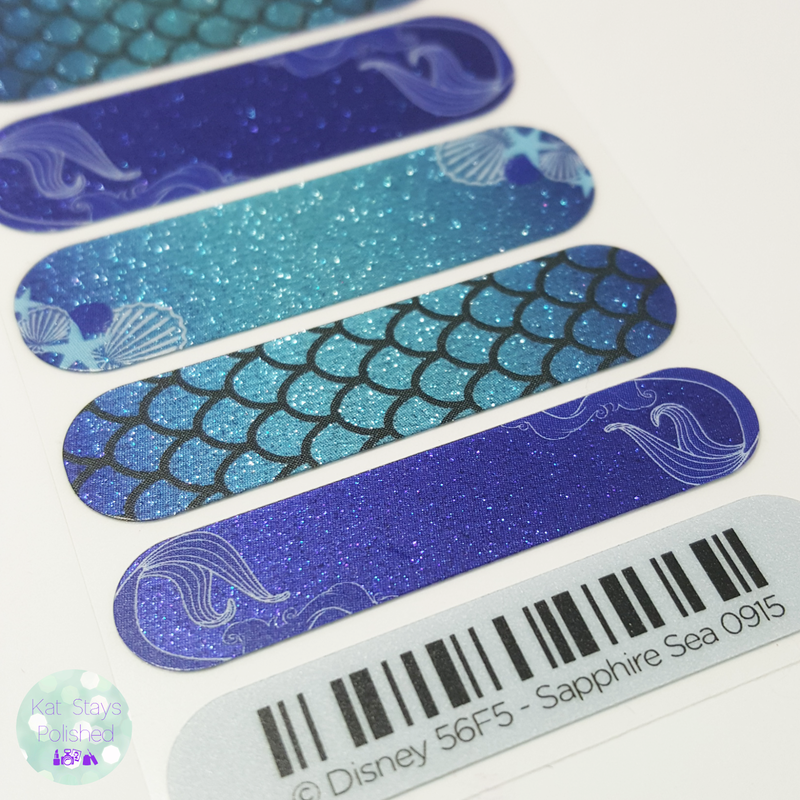 First off, I am using the Disney Collection by Jamberry wrap in Sapphire Sea. 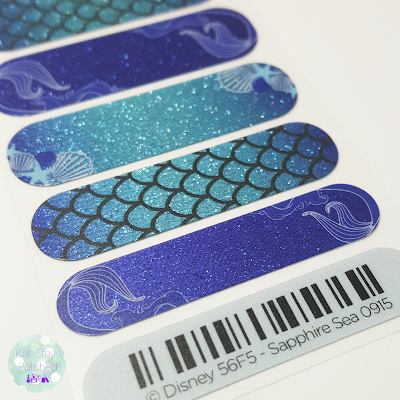 If you love mermaids and Ariel, you have GOT to get this design! 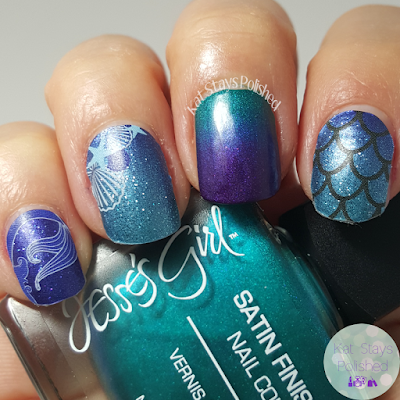 I thought it would be amazing to add a little bit of nail art so I attempted a gradient. Let's just say I was really impressed with how well it came out! There are 3 designs that come with this sheet of wraps. I love each one of them and they complement each other so well. 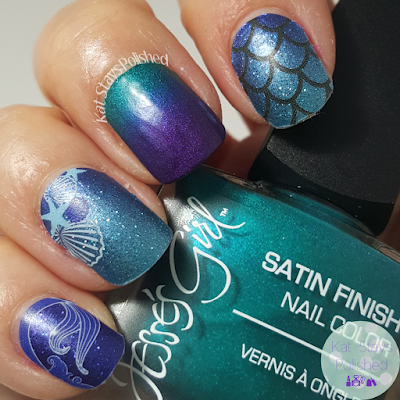 It's a subtle mermaid design...well, except for the scales, haha. I love the sparkles. 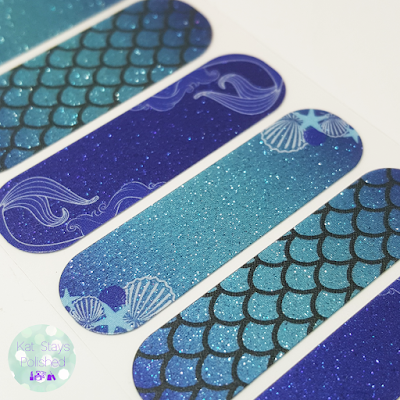 This would totally make you feel like a mermaid! So here is my final mani! Isn't that gradient so amazing? 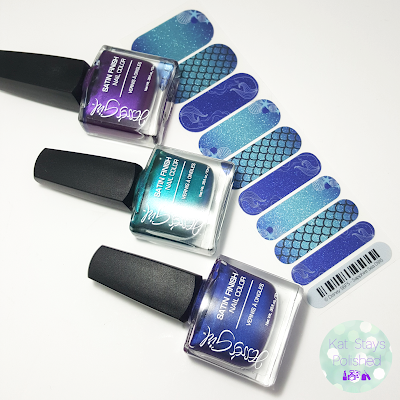 I used 3 Jesse's Girl Cosmetics Satin Finish polishes - Sea Glass (green), Azure (blue), and Amethyst (purple). 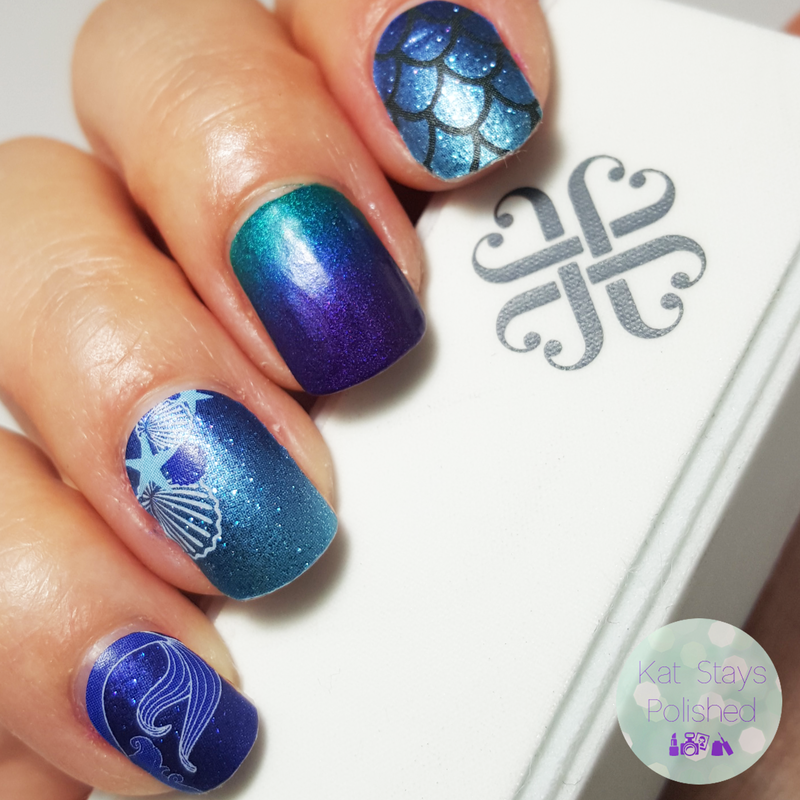 After I completed the gradient, I topped it off with the Zoya Satin Seal top coat. Are you starting to see why I gave these wraps another chance? I feel like it inspires me to do more nail art and I definitely want to branch out and do more. I also feel like there is less pressure to do all my nails with nail art. The wraps allow me to quickly throw on a design and then I can do a little bit of a nail design on the remaining fingers. If you want to try wraps for the first time (or again), let me know and I'll hook you up! If you're interested in this design or anything Jamberry, follow links below. I'll be happy to answer any questions you might have! Definitely try them and I'll be more than happy to help as much as I can! Such a pretty design on these nail wraps. Oh so pretty--love the ombre! Omg I'm obsessed with that design!!!! Perfect for the beach!!! All I need is one of those mermaid tails and I'm set! I'm loving the designs and colors. Very pretty. I've used Jamberry before. I liked them when I tried. It has a bit of a learning curve. This design is nice; I like the scales the most. Definitely a learning curve. I also think their products have improved tremendously over the years. Those colors are beautiful together. You did an outstanding job on these. I LOVE these colors! The wraps are such a pretty design! I'm totally obsessed with these colors too! OMG I love this set! gorgeous gradient! Love how this turned out.